Famed architect John Lautner's iconic desert hideaway built in 1947 and reimagined as Hotel Lautner, a stunning modern day oasis. 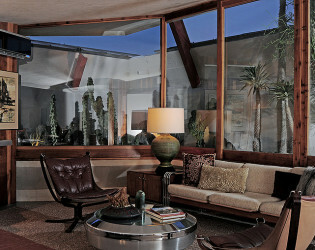 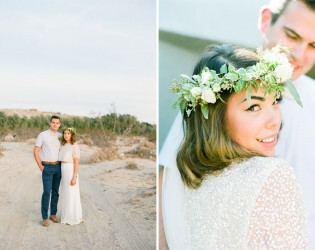 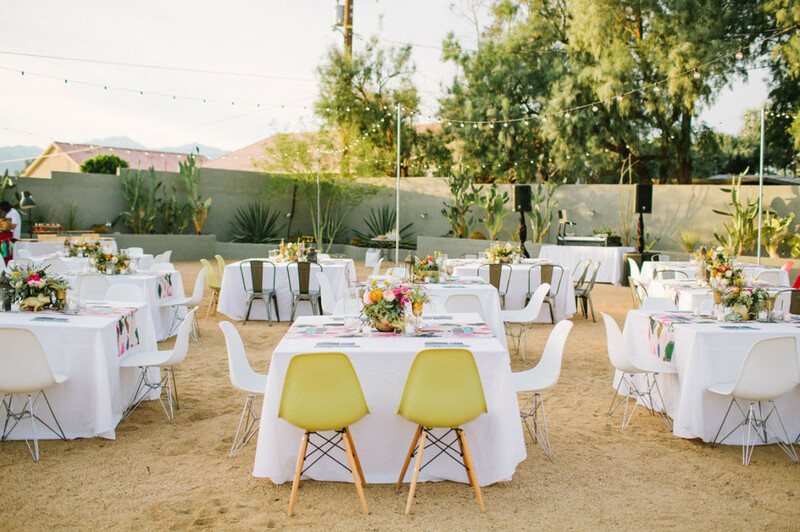 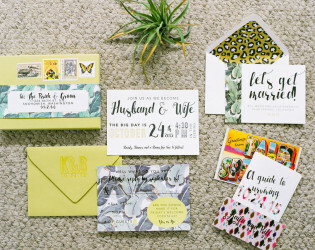 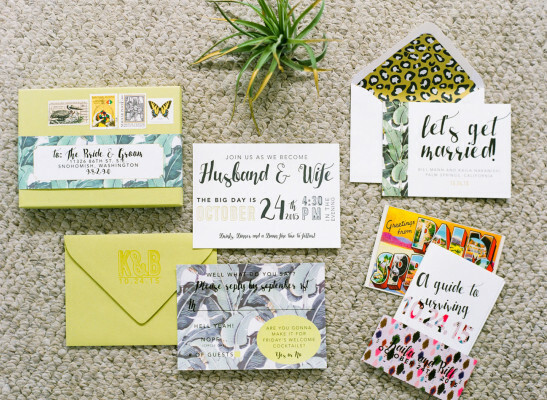 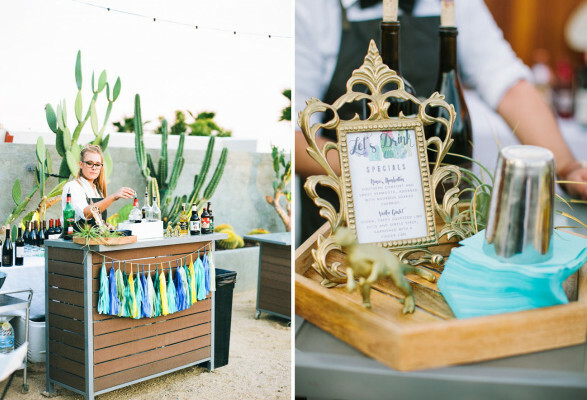 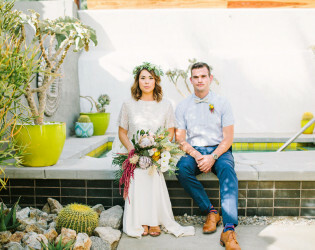 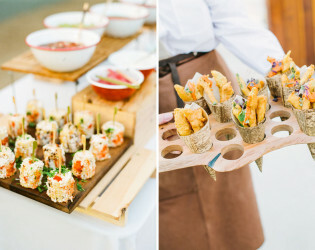 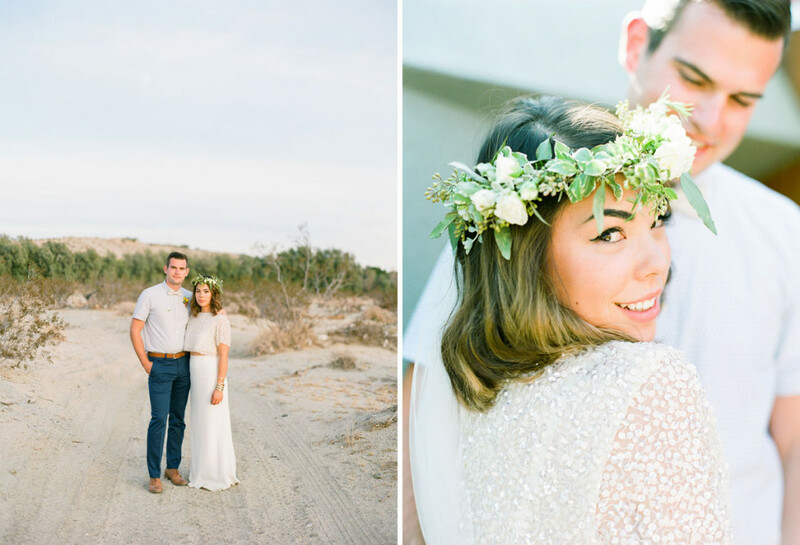 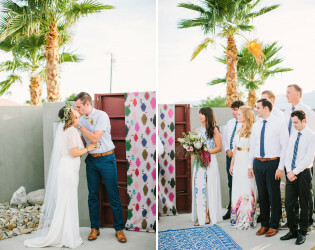 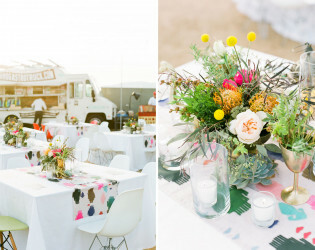 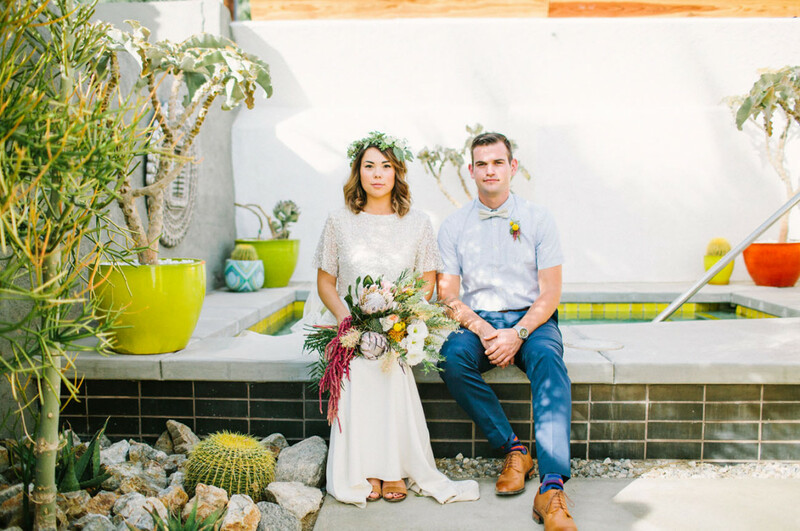 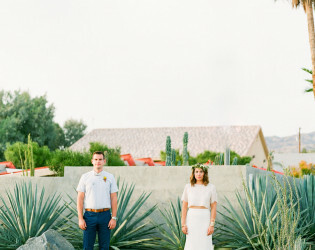 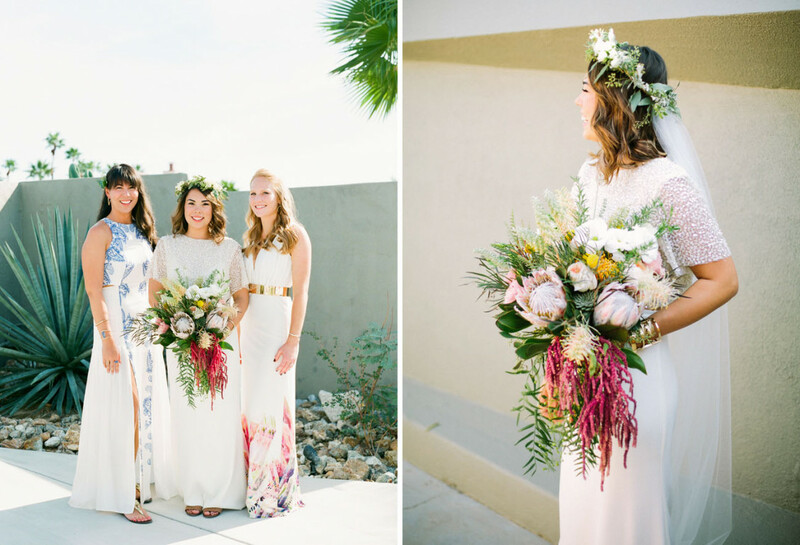 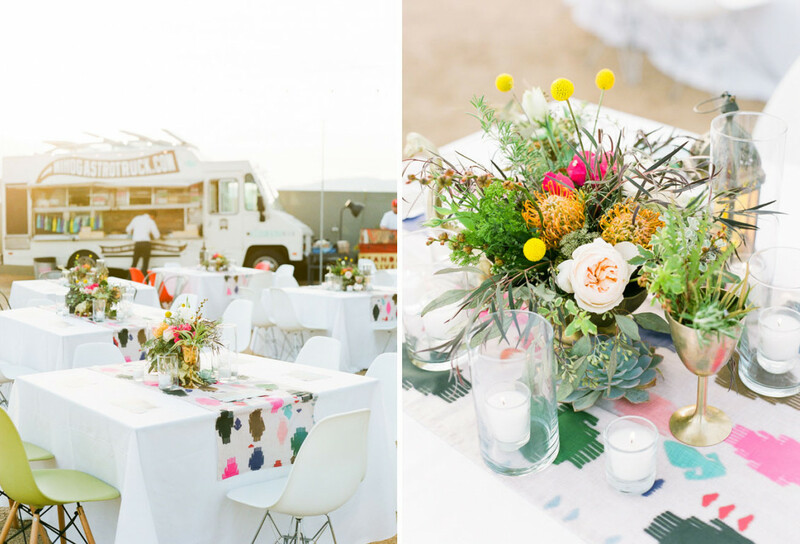 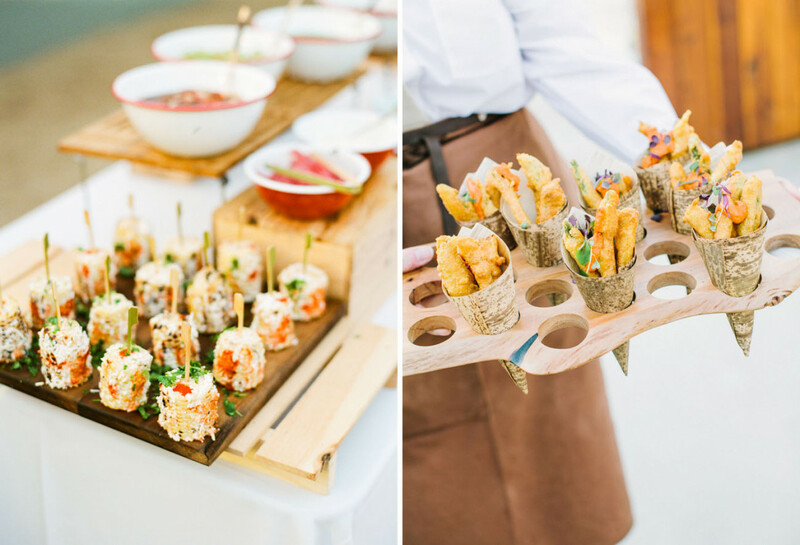 It is the ultimate mid-century modern special event and wedding destination. 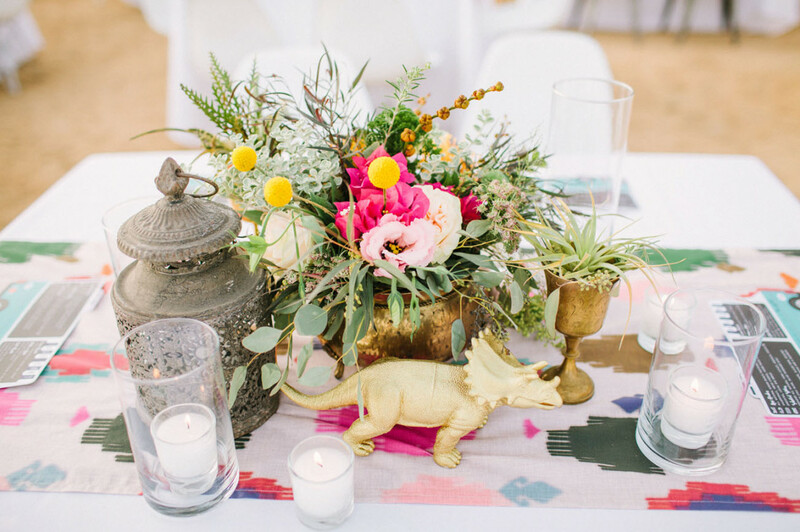 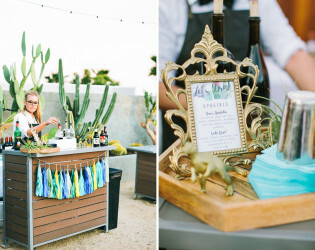 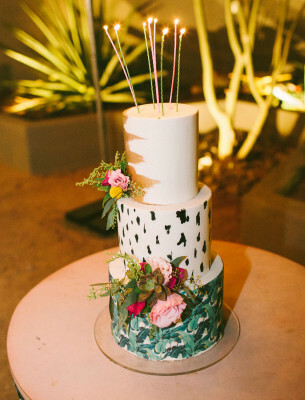 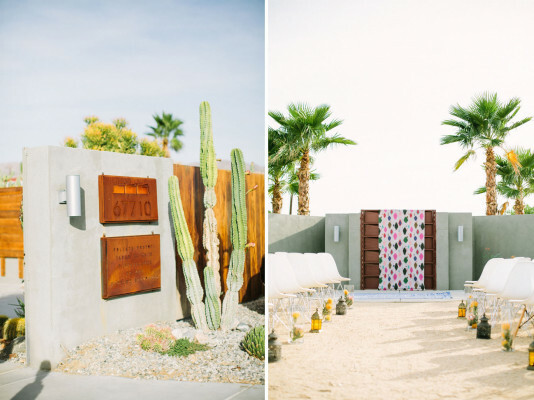 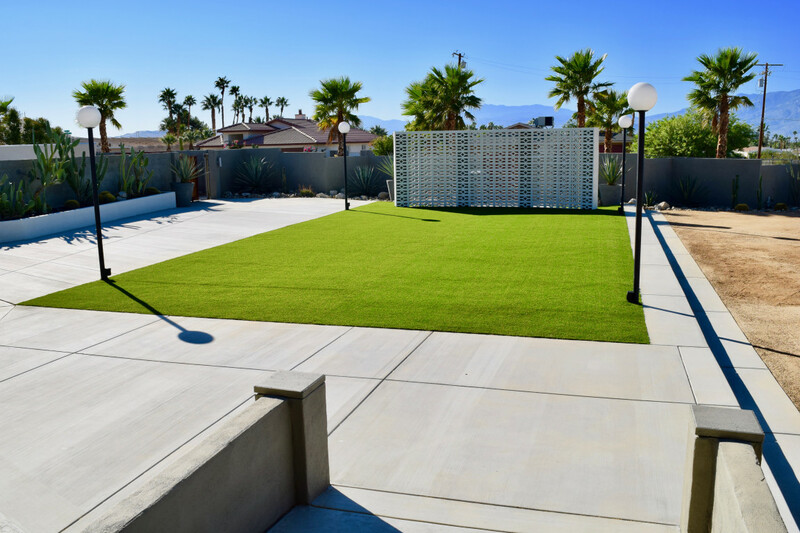 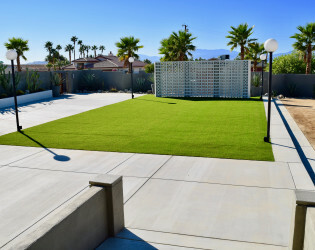 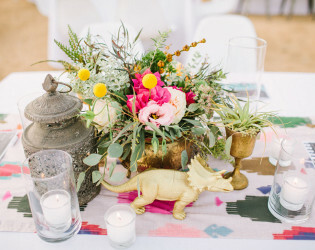 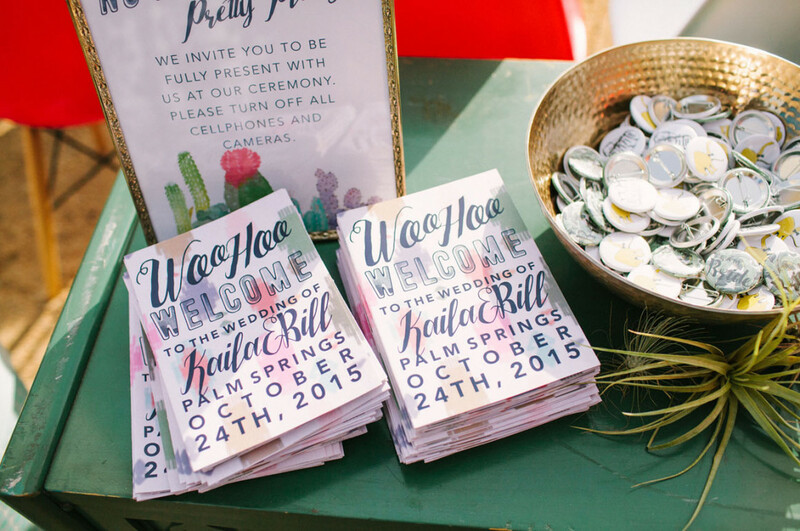 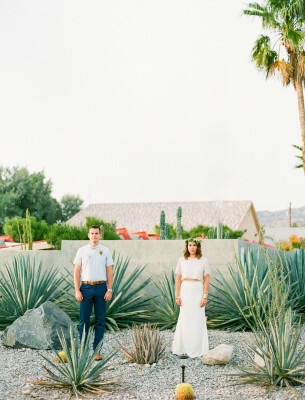 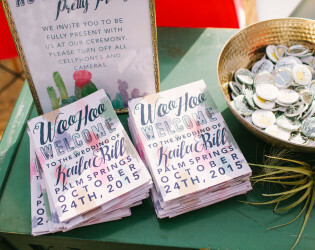 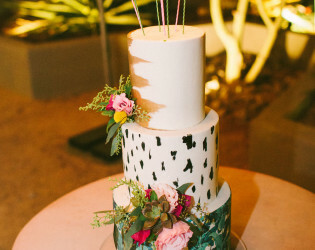 Imagine an intimate ceremony on the hotel grounds amidst candle lit walkways, desert landscaping and stunning views of the San Jacinto mountains. 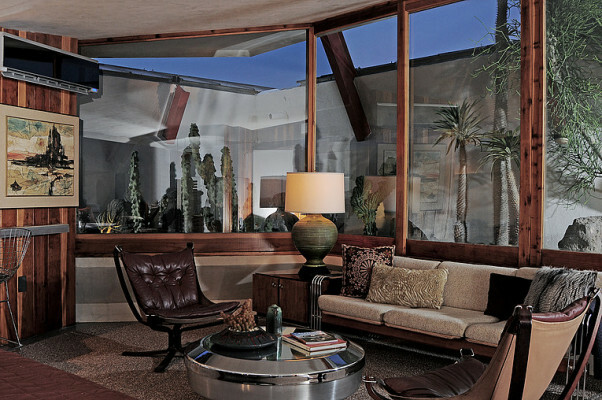 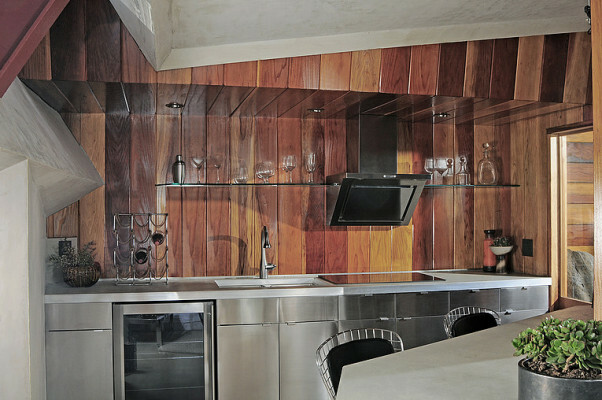 Famed architect John Lautner's iconic desert hideaway built in 1947. 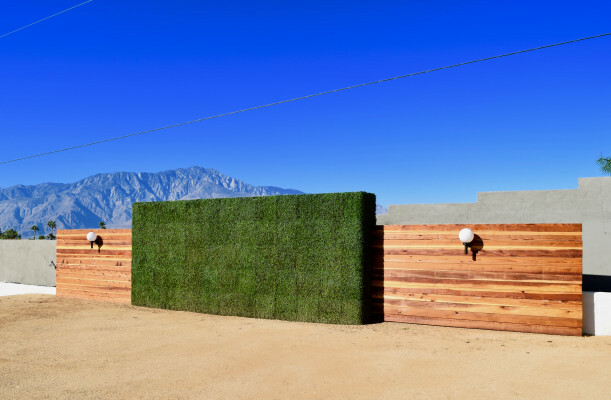 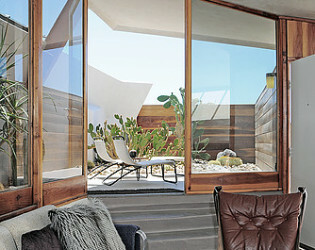 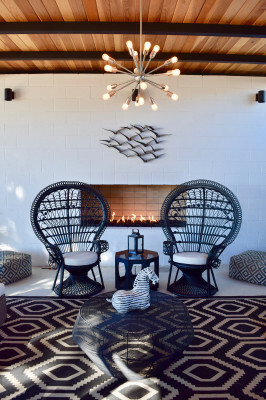 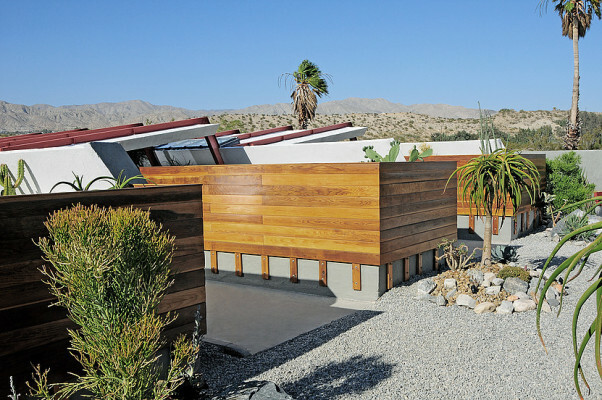 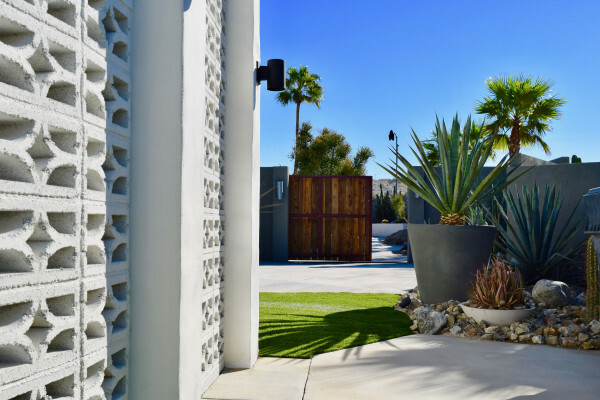 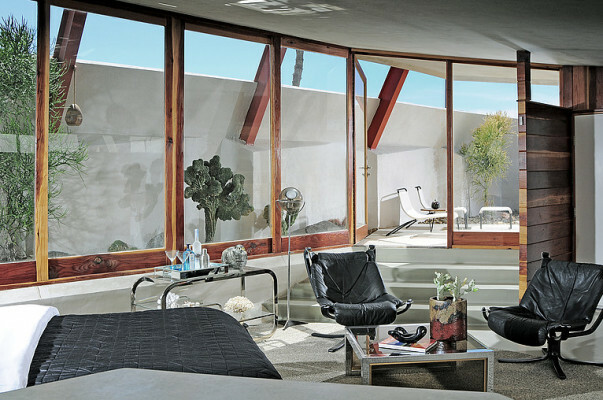 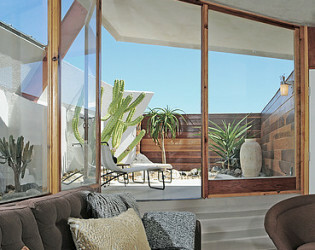 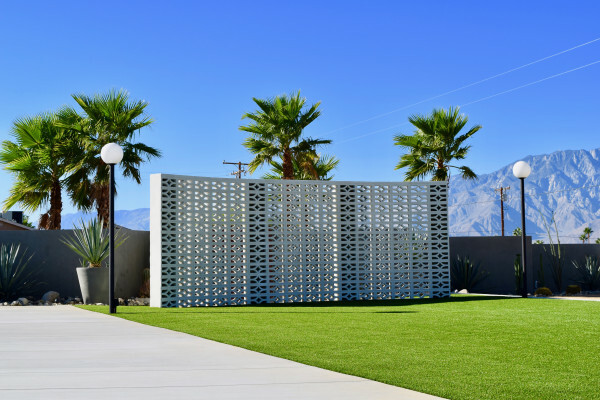 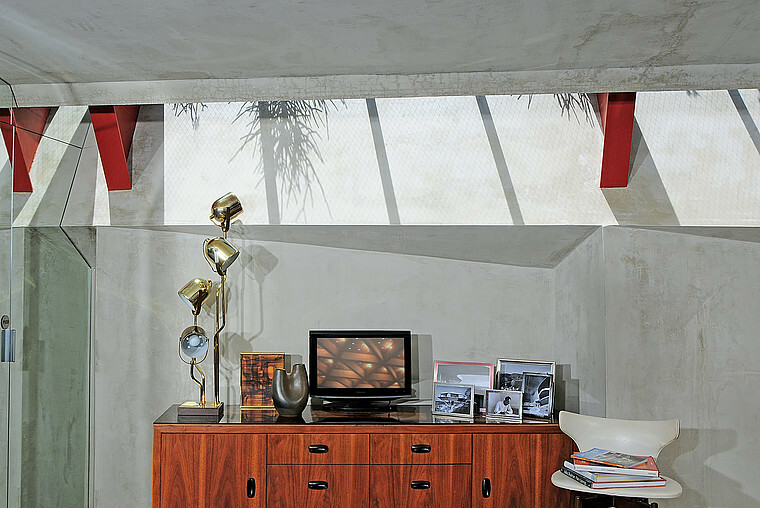 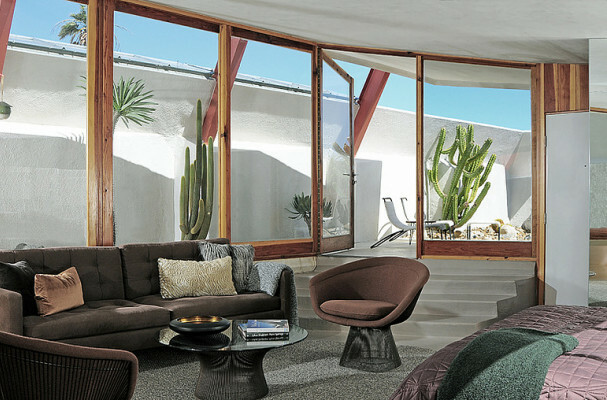 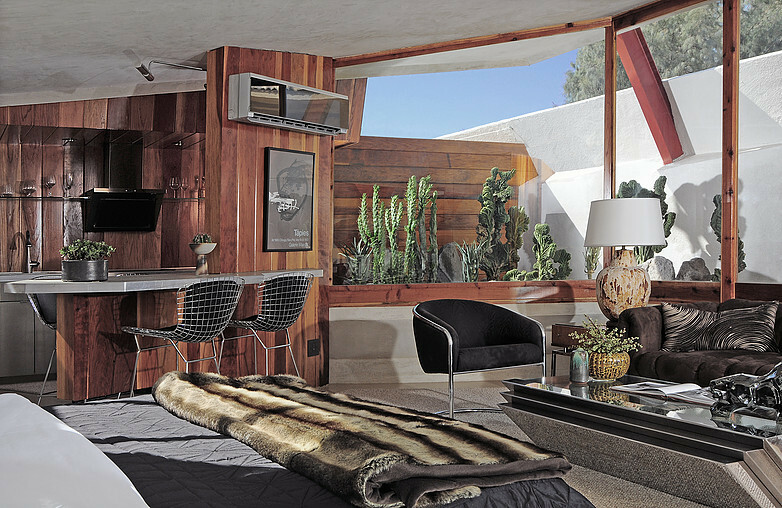 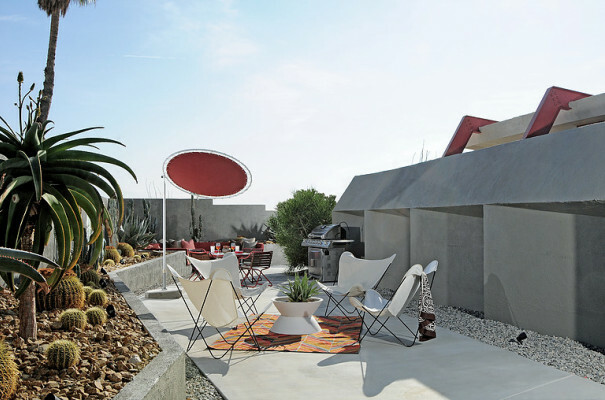 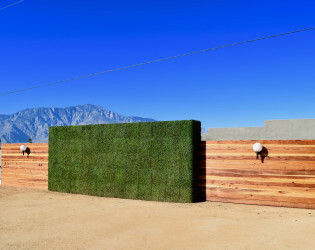 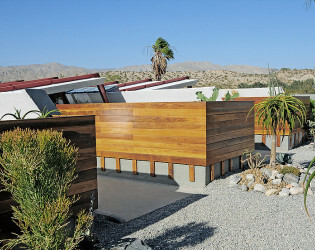 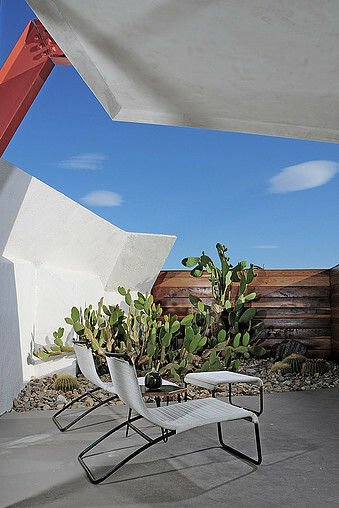 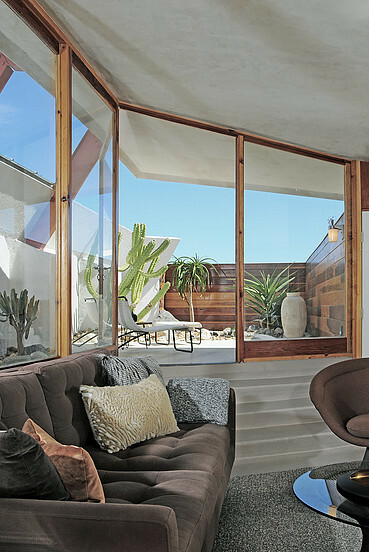 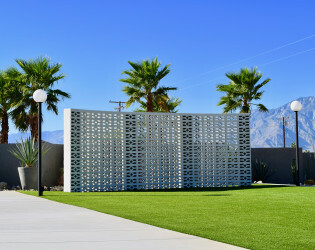 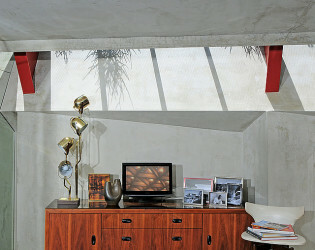 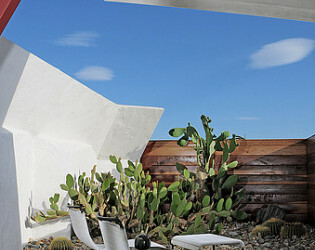 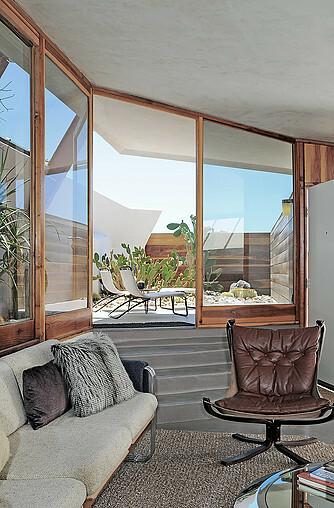 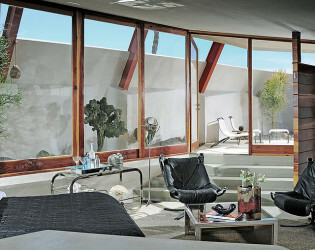 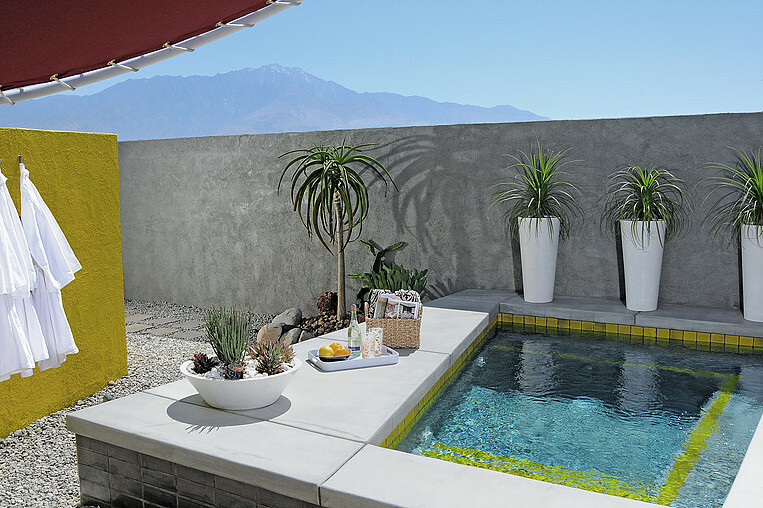 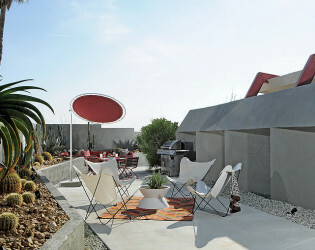 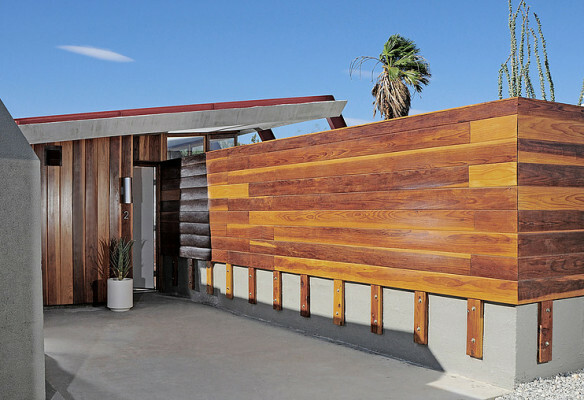 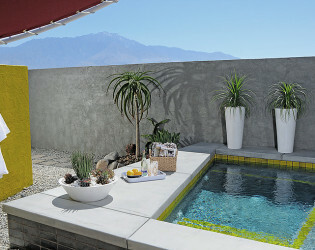 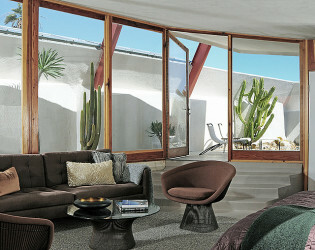 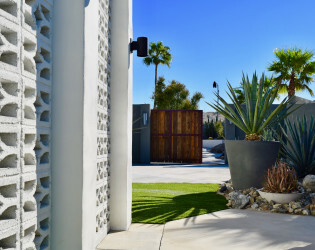 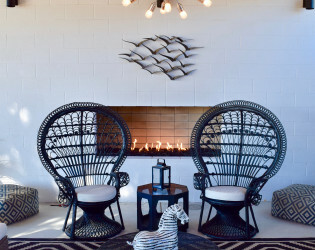 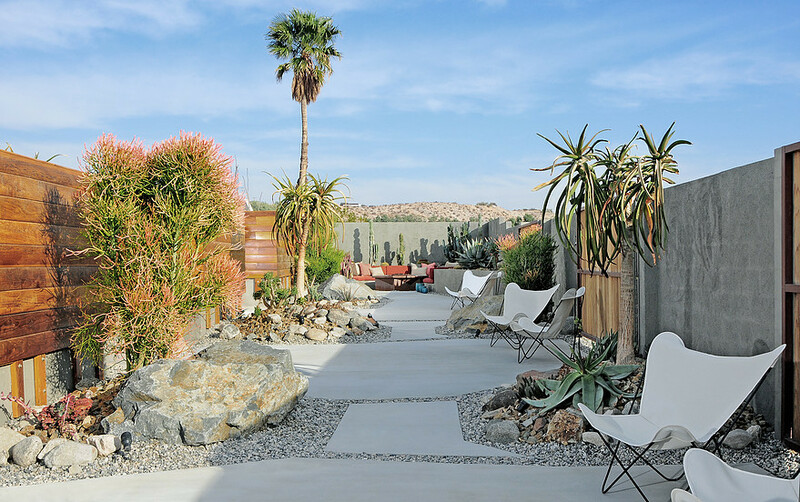 Reimagined as Hotel Lautner, an award winning, stunning modern day oasis in the California desert. 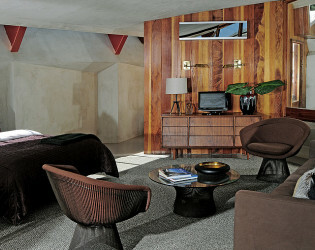 It is the ultimate mid-century modern special event and wedding destination. 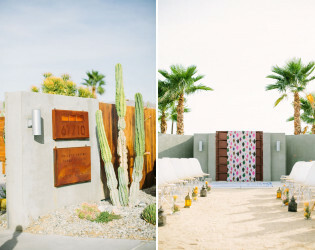 Imagine an intimate ceremony on the hotel grounds amidst candle lit walkways, desert landscaping and stunning views of the San Jacinto mountains. 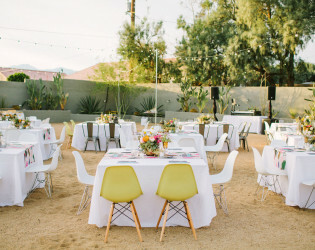 Or design your own modernism inspired wedding for up to 350 guests in our adjacent 10,000 sq. 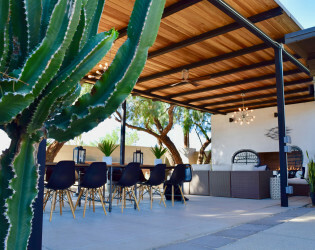 ft. open-air event space, LAUT 47, the perfect setting for outdoor dining and dancing, lounge areas, catering, food trucks, extra large white tents or string lights under the stars. 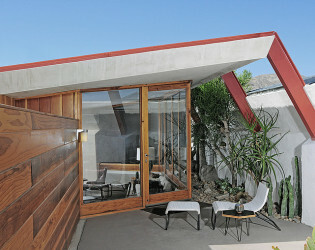 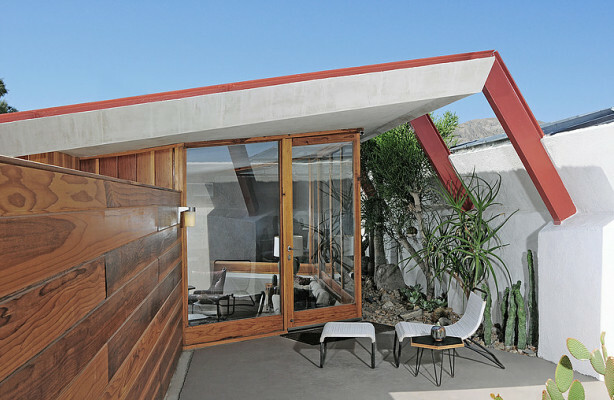 There is also our latest acquisition, The Ranch House, which sits adjacent to LAUT 47 and the Hotel Lautner. 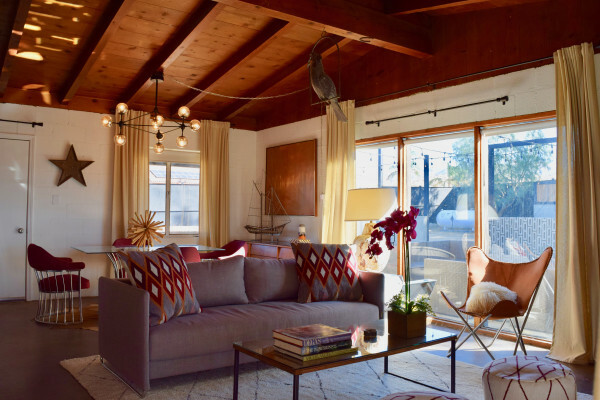 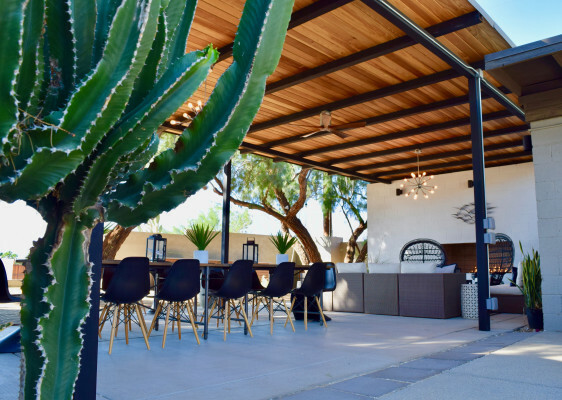 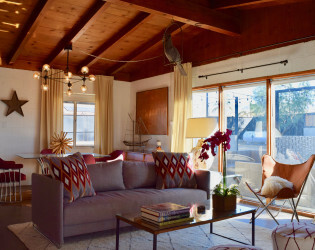 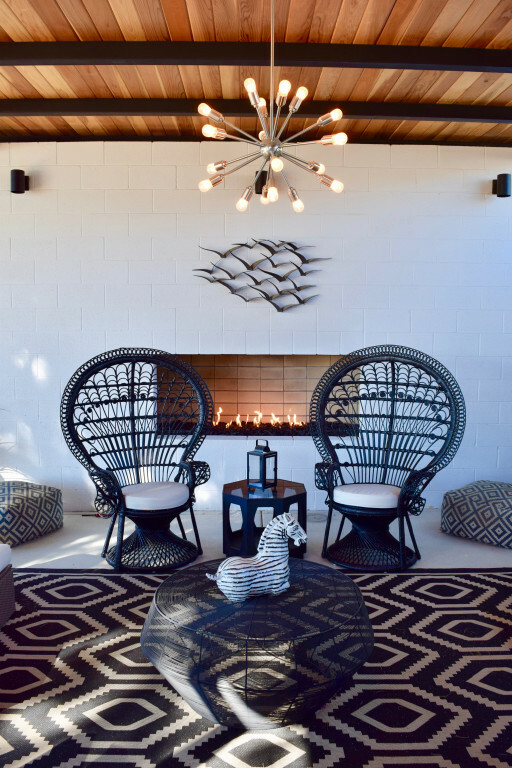 This beautifully restored 1957 california ranch home is the perfect place to host smaller events or an extension to large events in LAUT 47. 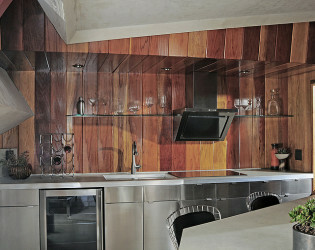 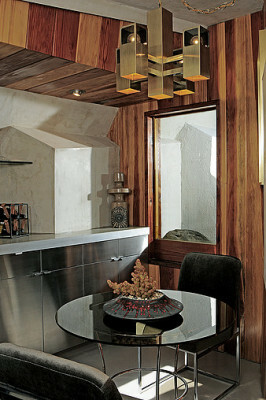 The home offers a large redwood and steel pergola with dining area and lounge area with fireplace wall. 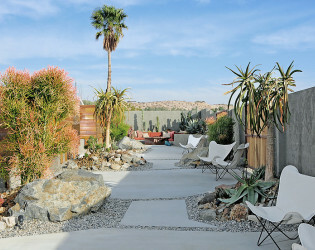 There is also a large open-air lounge with fire pit and string lights. 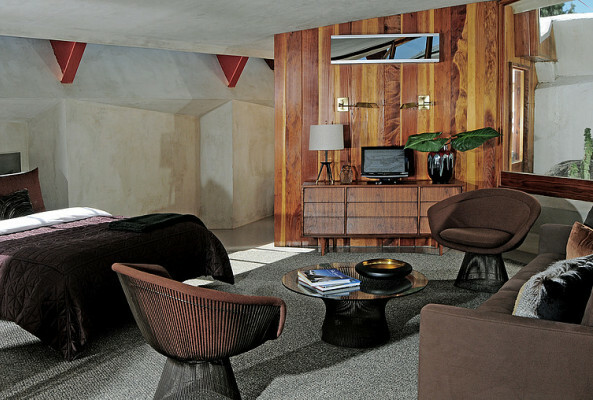 Guests can use the two wonderfully appointed restrooms that share a private lobby. Ultimate exclusivity lies over the tall walls and behind beautifully crafted doors, inside an esteemed architecturally significant estate which boasts four luxury flats for you and your "besties" in a compound to call your own! 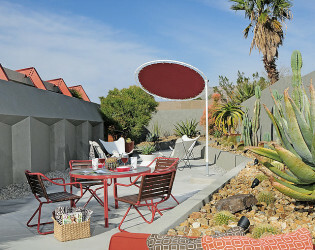 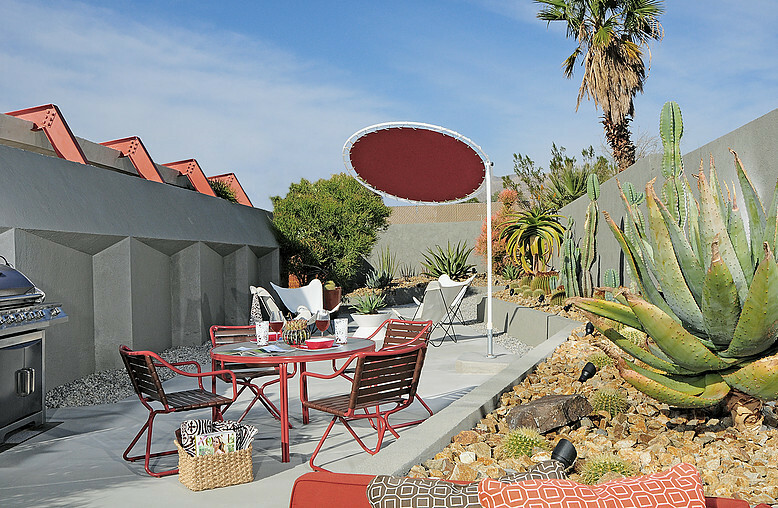 TheLautner is comprised of 4 luxury studio apartments. 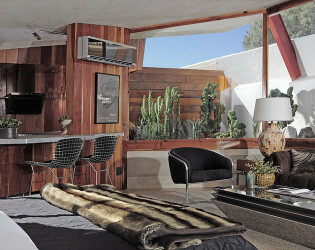 The Ranch house has 1 bedroom with ensuite bathroom and has a den with full size sleeper sofa. 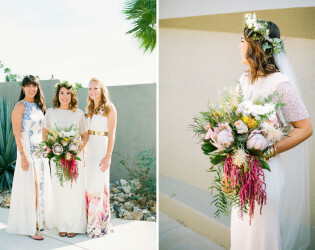 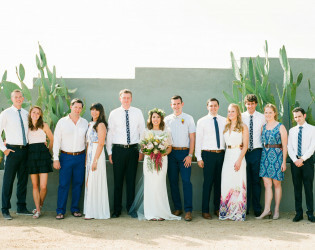 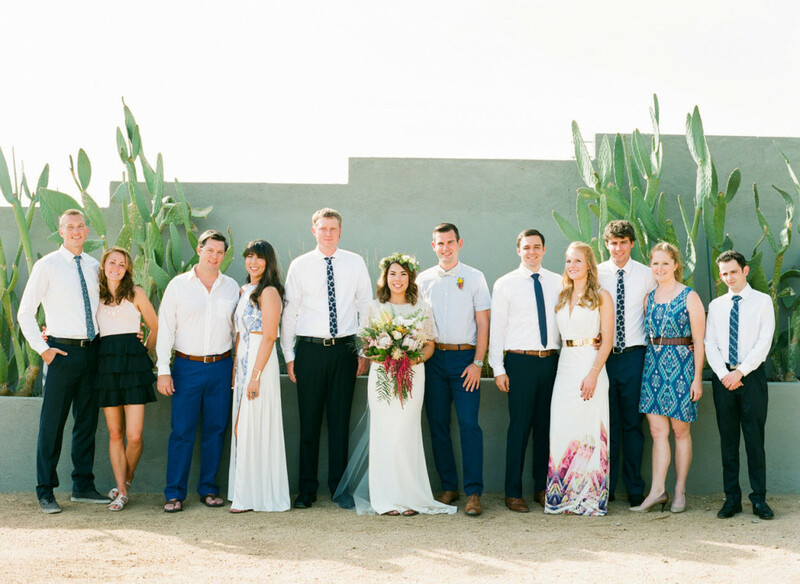 Bride and Bridesmaids can dress together and have hair and make up services in the Ranch House. 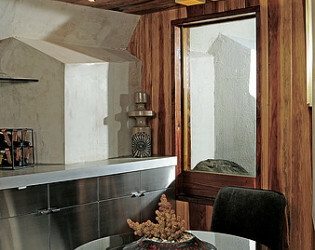 The public restroom lobby is another place to do hair and make up. 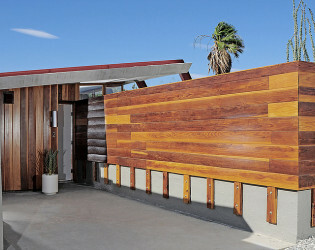 The public restrooms have a changing area and shower.